We are currently having some problems with our phone lines. BT are having technical issues over 4 counties, unfortunately this is out of our control. If you look after someone and require information or support the Carers Federation drop in clinics are every second Tuesday of the month. Next months is Tuesday 9th April. 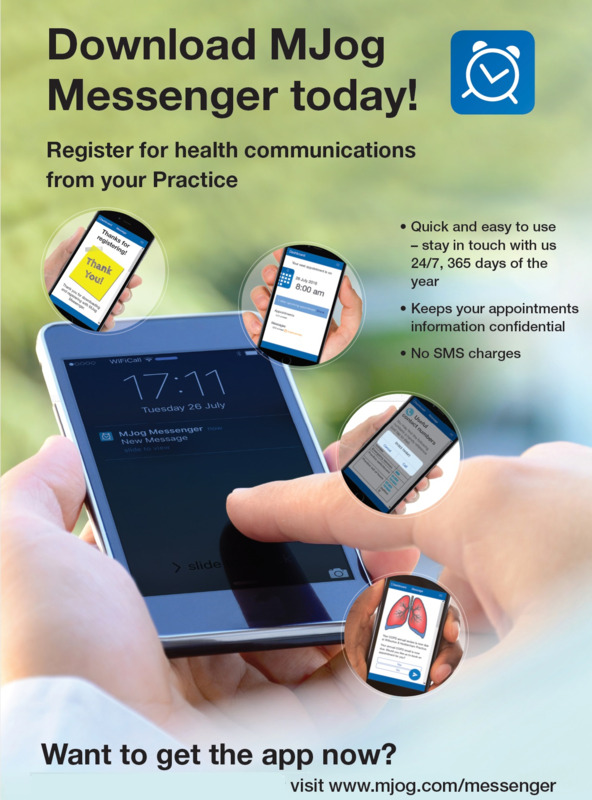 You can now manage your GP appointments and keep up to date with health communications from our practice with our new MJOG App. The plans for the new surgery continue to make their progress through GBC planning department. We haven’t heard about any delays or issues to date. The preplanning discussions went well, I believe. The Architects have been in to plan the room layouts and to discuss some exciting plans for the public spaces- i.e. reception and the Health Education Space. There are going to be some novel elements to make the waiting room more attractive and more stimulating as you wait. We continue to seek New Doctors for the Practice but sadly like all the surrounding Practices we have failed to attract either Partners of Salaried GPs. We have looked at other clinicians who can help meet your needs. We have employed a Clinical Pharmacist to support the existing staff. Ian McKenzie is a senior and experienced Pharmacist and is able to prescribe and can manage chronic conditions such as High Blood Pressure, Kidney disease, Diabetes and Mental Health issues. He can carry out necessary reviews of medication and alter medications which have been changed by hospital. When you need a medication review he can provide this service enabling us to protect GP appointments for the most complex patients. Some of you may have experienced our new Mental Health Service. As space is very limited, we can only offer a small number of places in this service but hopefully when we move this service can be extended. Finally, we are required to ask every adult patient to sign new consent forms under the New GDPR regulations giving us consent to send text messages and emails to you with various information relevant to you. Appointment date and time reminders for example. This is a huge task, please pick up a form from reception. With GP’s surgeries and A&E coming under increasing pressure , we’re asking you to consider whether you can self care if your illness is not serious. There are lots options available, from self-treatment to advice in a pharmacy, GP services, the NHS 111 number, mental health services, walk-in and urgent care centres and A&E. Gedling GP, and Nottingham North and East Clinical Commissioning Group’s clinical lead, Dr James Hopkinson says: “Often people needing medical help go straight to A&E when there may be another more appropriate service available, such as their GP, pharmacist, NHS 111 or their local walk-in or urgent care centre, all of which may be better placed to help. You might prefer your main living room to be slightly warmer. Keep your bedroom window closed on winter nights. Breathing cold air can be bad for your health as it increases the risk of chest infections. Keep active when you’re indoors. Try not to sit still for more than an hour or so. Wear several layers of light clothes. Several layers trap warm air better than one bulky layer. Make sure you’re receiving all the help that you’re entitled to. Learn how to make your home more energy efficient, improve your heating and keep up with your energy bills at www.gov.uk/phe/keep-warm And check your heating and cooking appliances are safe. Contact a Gas Safe registered engineer to make sure they’re operating properly. Ask your pharmacist what medicines should be in your cabinet to help get you and your family through the winter season. Many over-the-counter medicines (including paracetamol and ibuprofen) are available to relieve symptoms of common winter ailments, such as colds, sore throat, cough, sinusitis or painful middle ear infection (earache). So talk to your pharmacist for advice on getting the relief you need. To manage winter illness symptoms at home: • Rest • Drink plenty of fluids • Have at least one hot meal a day to keep your energy levels up • Use over-the-counter medications to help give relief. Make sure you get your prescription medicines before your pharmacy or GP practice closes. You can also order your repeat prescriptions online. To sign up to GP online services ask at your practice or to find out more visit nhs.uk/GPonlineservices And, if you’ve been prescribed antibiotics or any other medication, make sure you take them as directed. Five things we recommend you do: 1 Make sure you get your flu jab. 2 Keep your home at 18°C (65°F) or higher if you can. 3 Take advantage of financial schemes and discounts to help you pay for heating. 4 Visit your local pharmacist as soon as you start to feel unwell with the symptoms of a respiratory winter illness. Remember that other people, such as older neighbours, friends and family members, may need a bit of extra help over the winter. There’s a lot you can do to help people who are more frail than you. Icy pavements and roads can be very slippery and cold weather can stop people from getting out and about. Keep in touch with your friends, neighbours and family and ask if they need any practical help, or if they’re feeling under the weather. Make sure they’re stocked up with enough food supplies for a few days, in case they can’t go out. If they do need to go out in the cold, encourage them to wear shoes with a good grip and a scarf around the mouth to protect them from the cold air, and to reduce their risk of chest infections. And make sure they get any prescription medicines in if bad weather is forecast. If they need help over the holiday period when the GP practice or pharmacy is closed, call NHS 111 and speak to a call adviser who will be able to direct you to a local service that is open. You can also find information at www.nhs.uk . Please remember to check with the Nurse if you need any vaccinations and get your appointment booked well in advance. See the information in the clinic and services tab at the top of the page. 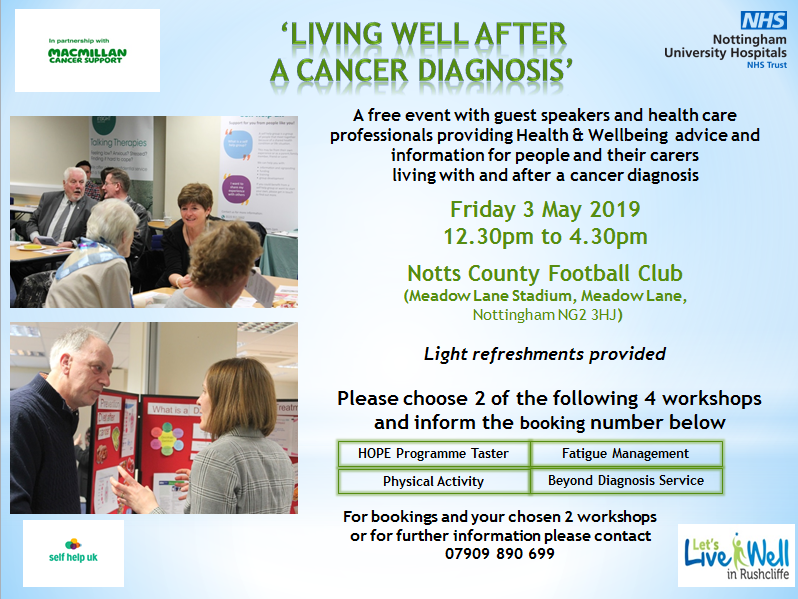 Please remember that we are running walk in sessions (see below for details)so you can come and have an appointment without the need to call to book one. If you are able to come in to the surgery between 7am and 6:30pm you can talk to the reception team who will help you with any inquires. have proved to be quite popular with patients. booking in to these sessions needed to be made clearer. to be called. You will be seen in the order of your arrival. We are delighted to have received our feedback from the CQC. Please follow the link below to view the Trentside Medical Group, CQC, Intelligent Monitoring Report. We have recently endured a very disturbing level of foul language and aggressive behaviour directed at the staff at Trentside Medical Group on an almost daily basis. This kind of behaviour will NOT be tolerated. Anyone who causes a member of staff to feel humiliated,intimidated or offended will be removed from the practice list with immediate effect. Our staff are here to help....please treat them with respect. The report is available to view on this website see link on the right of this page.Please keep a look out for the full results of the recent questionnaire circulated at both sites appearing on the noticeboards around the waiting rooms. Occasionally we undertake essential training for both clinical and administration staff and close from 12:30pm.Please keep a lookout for the times displayed on this site and in Trentside reception area.